Dr. Reinke has more than 20 years of NEPA experience working for private consulting firms and for DoD and other federal agencies. Currently he works at Edward AFB, CA where he is a Senior Environmental Scientist for NEPA and Natural Resources issues. Before coming to Edwards AFB he worked for the Army National Guard at both the installation and NGB headquarters level where he developed the initial NEPA guidance for the Army National Guard. 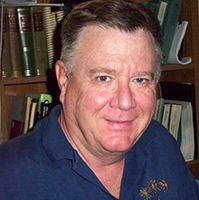 Dr. Reinke received a BS in Biology/Chemistry from Southwestern Oklahoma State College (1973) and a MS in Botany (1975) and PhD in Plant Ecology (1980) from the University of Kansas. Dr. Reinke is a member of numerous national and international environmental organizations and is the senior author of two books. “The NEPA Reference Guide” 1999 Battelle Press and “Endangered Species, Legal Requirements and Policy Guidance”2001 Battelle Press both coauthored with Lucinda Low Swartz.